Why Buy Someone Else's Dream When You Can Build Your Own? !--We have access to great financing options. At Noble Custom Homes, we handle your home remodel, home addition, or new home construction in a fast, efficient, and cost-effective manner. If you have a dream vision and are ready to take the steps toward making it come alive, we're the company to call. We'll work with you to remodel your new kitchen or bathroom, fix up your unfinished basement, or add on an addition. 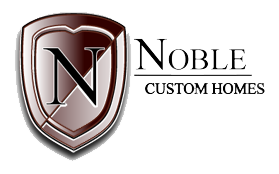 Noble Custom Homes is an established Saint Cloud, Minnesota area home builder with years of custom home building experience. Steve Noble (CEO) offers personal service and high quality home building processes just for you and your family. In addition, Steve actively participates in the Central Minnesota Builder's Association and is also a Board Member at the state and national levels for the Builder's Association of Minnesota and the National Association of Home Builders. The beginning of a beautiful remodel, home addition or new construction is only a phone call away. Choose Noble Custom Homes to work with a construction company that will be on your side and walk you through the process from start to finish.